There are many wonderful culinary dining experiences to enjoy at the Epcot International Food and Wine Festival. However it's not often that you get to dine and have Cat Cora as your host. The Culinary Adventures in Signature Dining give you the opportunity to enjoy a culinary masterpiece meal created by a chef and paired with one of the hosting wineries. 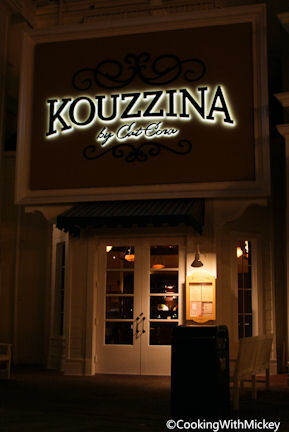 Again this year Chef Cat Cora, along side Dee Foundoukis, will be taking part in this experience hosting at Kouzzina by Cat Cora. This year you'll be able to indulge in her delicious meal on multiple occasions, six to be exact. When: October 25, 26, 27, 28 and 29 at 8:00 p.m. When: October 30 at 11:00 a.m.